Have you seen Waldo's lady friend Wenda? 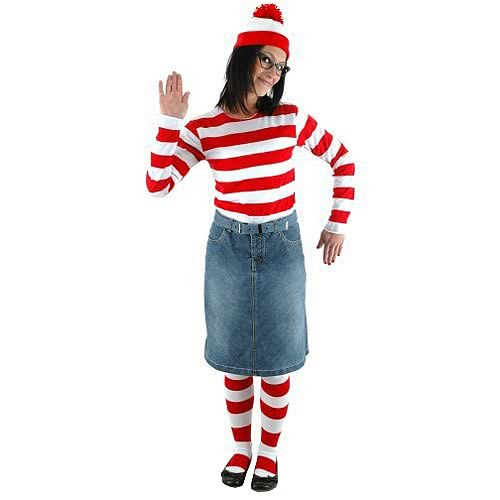 Partygoers will be sure to spot you, with this Where's Waldo Wenda Adult Costume Kit! Become the intrepid, stripes-loving explorer's female companion with this kit, which includes Hat, Glasses and Shirt. Order yours today!